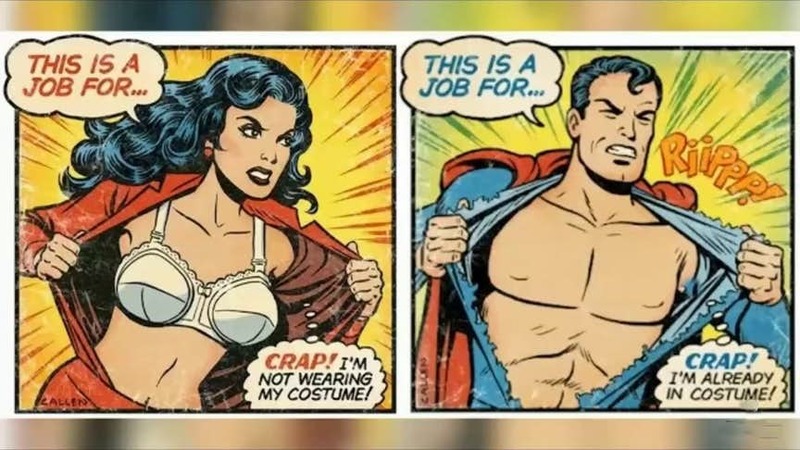 Best 10 Wonder Woman & Super Man Memes! And the meme lords of the Internet strikes again. This time with the memes of the most powerful Superheroes in the entire DC universe. It’s Clark vs Diana. It’s Superman vs Wonder Woman. We have always loved the chemistry and the tension between these two characters. Sometimes we also hoped that these two get together. However, the meme lords had something else in their mind. Presenting to you the best of Wonder Woman and Superman Memes! 1. Wonder Woman is wonderful! When Wonder Woman pulled off a Superman. I guess this scene was intentionally put up in the movie to show that Wonder Woman is no less than the Man of Steel. Here is how Diana consoled Clark when he was crying his eyes out for Batman. However, deep inside we all know that it is Batman Wonder Woman is crazy for. Sorry, Supes! You can see the pain in Superman’s eyes and the wickedness in Batman’s smile! When you know whose movie is going to gross more on the box office. All hail Wonder Woman.! 5. WHEN THEY MADE OUT! I have a dirty mind, but yes I am imagining what you all are thinking! The most powerful being has the hilarious jokes too. Could someone explain to me what just happened? And you try to pretend that you are okay with it! 10. WHEN ARE JUST TOO USED TO! Well, we all wish to see this scene in the DCEU as soon as possible. Most Savage Deadpool vs Villains Memes!